Planning the Perfect Grand Canyon Vacation. Take the Trip of a Lifetime! 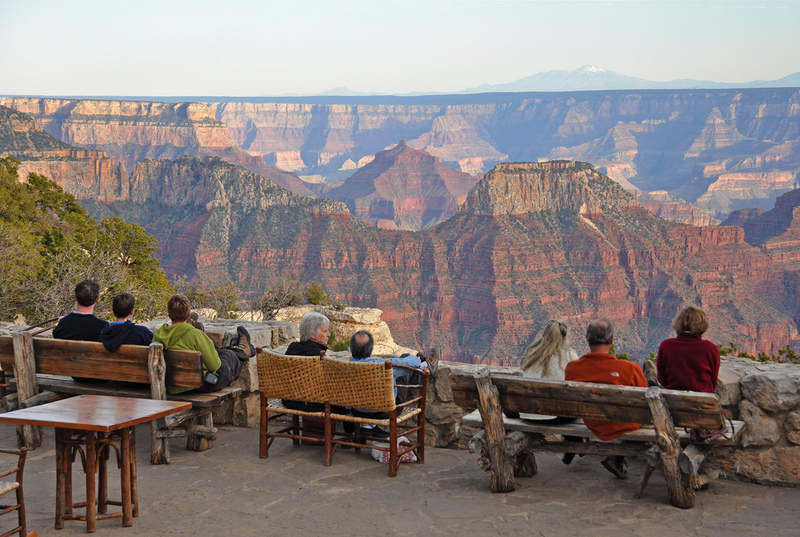 A Grand Canyon Vacation is sure to blow your mind. It’s the perfect trip for friends, lovers, family… really anybody. 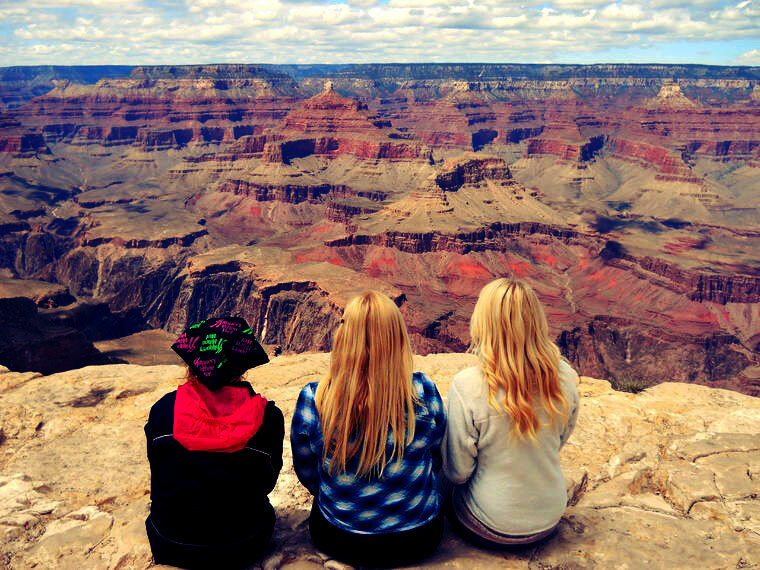 We have some vacation ideas about the best way to visit the Grand Canyon. 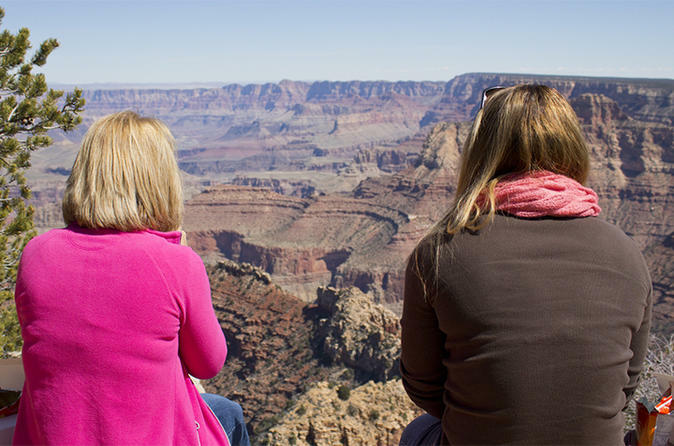 Sit back and enjoy the ride while we discuss Grand Canyon information, attractions and finally Grand Canyon Tour Packages. You won’t be alone. It’s a wildly popular hot spot, visited by people from all corners of the globe. With little question why! This awe inspiring geological wonder holds over 1.2 million acres (1,904 square miles) of breathtaking scenery. You’ll definitely need a map or two. 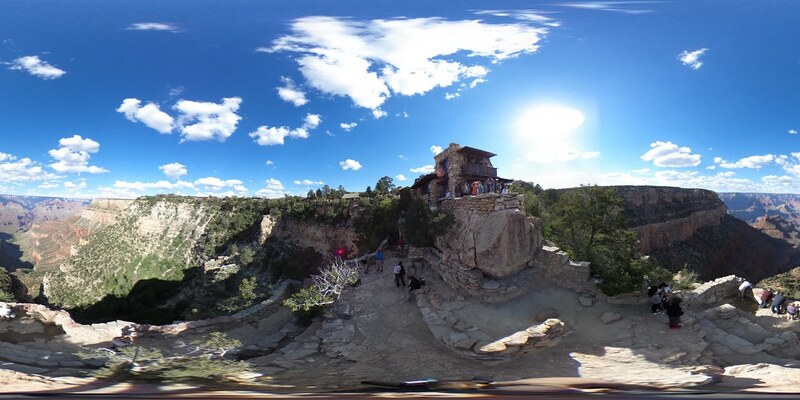 Click and drag through this amazing 360° view from Lookout Studio, one of the many many places to gaze over the canyon. With all this ground to cover, there is so much to do! 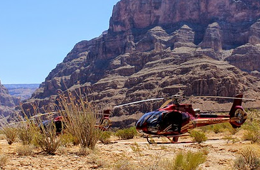 We’ll walk you through ways to be safe, fun and memorable in this ultimate guide to planning your perfect Grand Canyon Vacation. Located in northern Arizona, the park includes 277 miles of the captivating Colorado River, and a multitude of adjacent highlands. 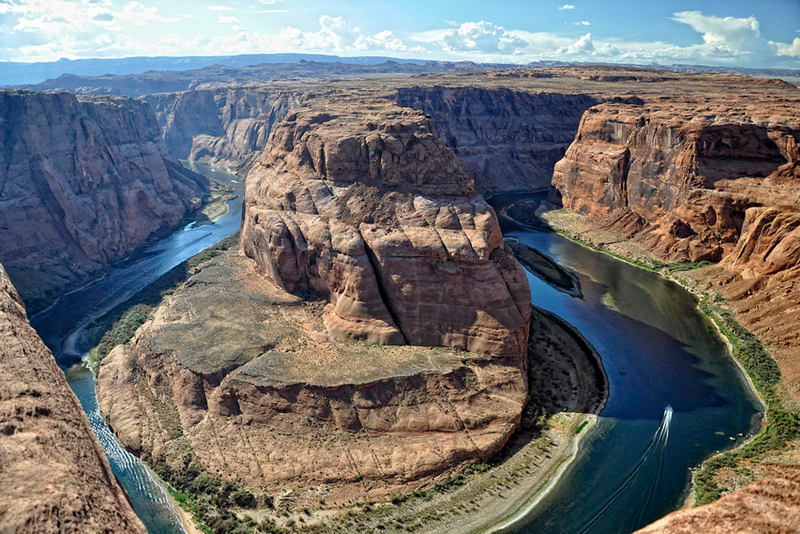 Years of the river carving its path through the canyon created this dramatic landscape. The geological formations boast the most profound erosion examples of any single location in the entire world! Tourists claim that this national park is completely unmatched when it comes to scenic vistas and mesmerizing beauty. This region is so captivating that the national park is considered to be one of the few World Heritage Sites! In addition to being its own national park, the Grand Canyon includes a whopping 22 other national parks. Each park plays a special role in the collective history of the Grand Canyon, and provides visitors with new and unique ways to witness and experience the unparalleled beauty. There is absolutely no doubt that a vacation here will awe, excite, and mystify you! There are a few ways to get to the park. If you’re in the mood for a scenic drive, learn how to drive to the Grand canyon. If driving’s not your thing, there are so many great tours that will take you right there. On the South Rim, you can always visit. The Grand Canyon Village region and the Desert View region are always open. 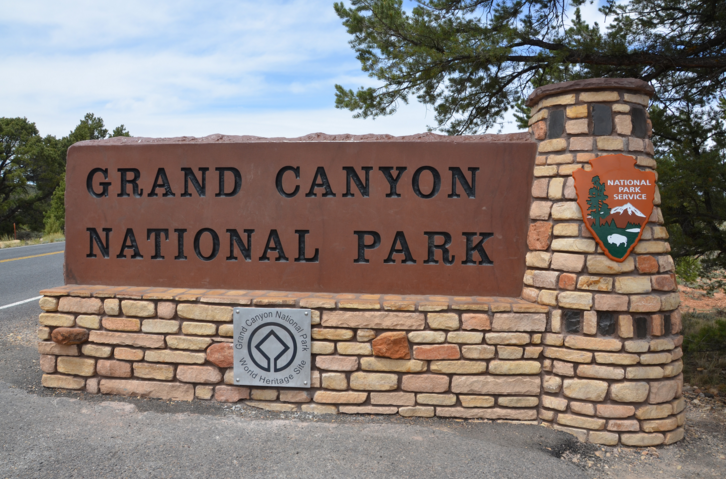 The facilities on the North Rim are open from May to October. The Grand Canyon does not ever officially close. The entrance to the national park is always open – day and night. However, visitor center hours and local businesses in the park have business hours. These prices include both the North Rim and South Rim and may be used for a total of 7 days. Each year, the Grand Canyon offers several days in which entrance to the park is absolutely free! Here are the Free Entrance days in 2017, provided by the National Park Service. Only the entrance fee is waved. Fees for special reservations, camping, concessions, special tours, lodging, and various activities still apply. Grand Canyons South Rim is open 24 hours, every day of the year, even holidays. It’s the easiest area of the park access and is the most visited by tourists. You can get there by airplane, helicopter, train, bus, and the wonderful Desert View Drive Take the scenic route along the South Rim for 25 miles. There are a few shuttle bus routes that take you through the park from and to the Visitors Center, Hotels, Museums, and campgrounds. Each route stops at viewpoints along the way so you can see the scenery. 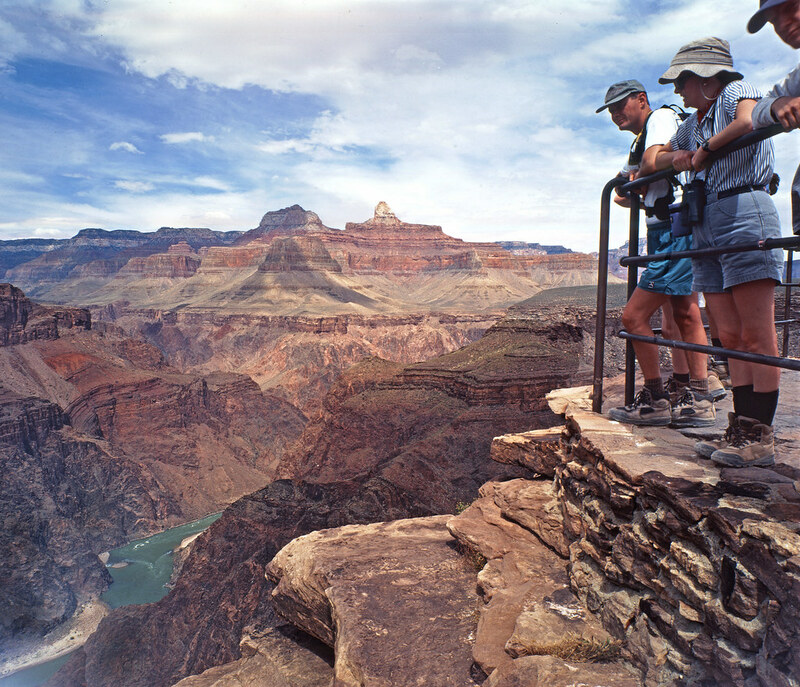 Popular activities include the Historic Village, Grand Canyon Railway and Desert View Watchtower. If you’re a first timer, be sure not to miss the IMAX Theater show about the history of the Grand Canyon. Near the Utah border, the North rim is a little harder to get to. A hike to the North Rim is over 20 miles, and a drive is hours long. This place is remote, which also means you’ll have more of it to yourself. It’s perfect for those less into crowds and more into hiking, photography and nature. It’s only open from May 15 through Oct. 15th every year so it’s best to make plans in advance. Hot spots for the North rim are North Kaibab Trail, Bright Angel Point and Trail, and of course the North Rim Visitor Center. While you’re in the vicinity, you may also want to visit Zion National Park and Bryce Canyon National Park. Grand Canyon West is not officially part of the national park. It is owned by the Hualapai Indian Tribe, who are fantastic hosts. It’s gaining in popularity due to all of their magnificent attractions. The Skywalk, Guano Point and the many Native American activities going on. If you’re interested in the dwellings of the local tribes, the West rim is surely the place to visit. Learn more about west rim here. If you are planning a visit to the Grand Canyon in March, April, and May, it is important to become familiar with the weather conditions during this time of year. When visiting the national park, come prepared for a variety of conditions as many changes take place from the start of spring to the start of summer. Check NPS for weather alerts. The average temperatures in the rims range from 29°F up to 65°F. In the inner canyon area, the temperatures range from 56°F up to 84°F during the spring. In March and April, you may find that snow still exists along the rims. May is typically a dry month; however, snow may continue to be present. During the spring months, camping is extremely popular. In fact, you may find it rather difficult to obtain a permit for overnight camping. If you want to get this type of permit, it is important to obtain it as early in the year as possible. During June, July, and August, you will experience absolutely beautiful weather in the area of the rims; however, the inner canyon area has the capability to reach immensely high temperatures. The Grand Canyon has a high level of elevation and a low amount of humidity. Due to this fact, the area gets cold at night. It is advised that you bring a jacket. The rims have temperatures from as low as 40°F to as high as 84°F, which is easy for most people to handle on regular guided rim tours. However, the inner canyon region temperatures range from 92°F to a whopping 106°F. Come prepared for extreme temperatures during the day and cooler temperatures at night. 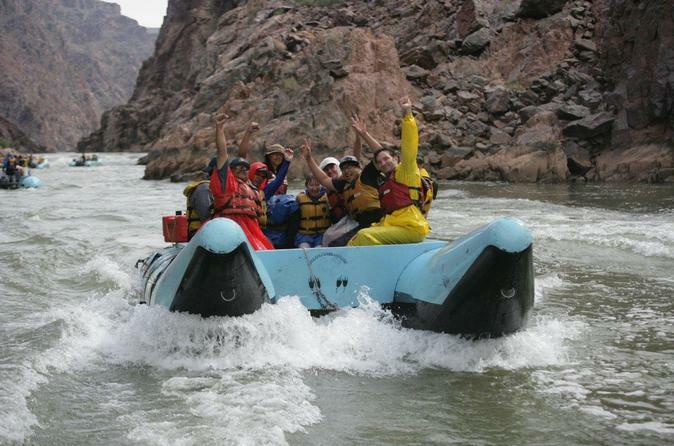 It would be wise to include some water activities on your Grand Canyon Vacation to beat the heat. Additionally, monsoon storms are common during the summer. This means that lightning may occur. If you hear thunder, be prepared to move from the rim of the canyon and seek shelter inside of a vehicle or a building – never stand underneath trees. For the most part, Grand Canyon weather in the fall is considered to be perfect. Day temperatures average in the 70s in the South and in the 60s in the North. September can be rainy, but some of the most beautiful visions we’ve seen are the great storms over the Grand Canyon. Winter can come as early as October. It also might be quite windy in the afternoons. At night, the temperatures may drop quickly. It is not uncommon to reach temps in the 20s and 30s. If you’re planning to be outside during the early morning and evenings, pack accordingly. 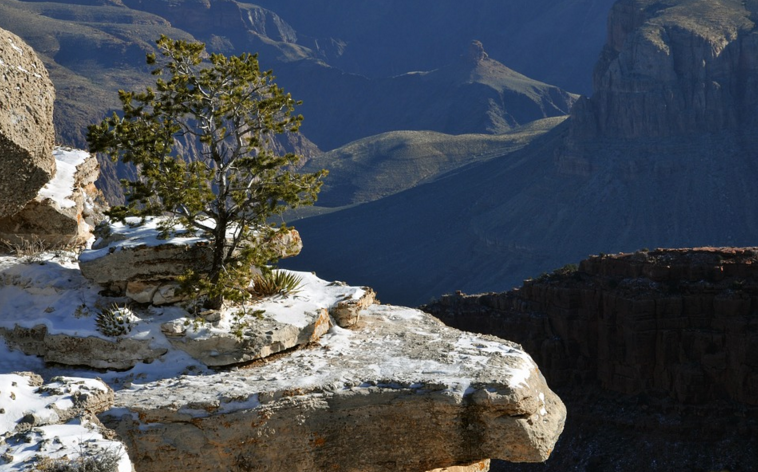 Though it gets quite chilly, visiting the Grand Canyon in winter is absolutely gorgeous and we highly recommend it. Temperatures on the rim range from the teens to highs near 40°F in the afternoon. Along the river, the temperatures are warmer ranging from 40°F to 50°F. There’s quite a good amount of snow. This can lead to the most beautiful views of the year. And since the Grand Canyon is less traveled, you’ll enjoy a more private experience. However, be aware that temperatures can drop quickly into sub-zero ranges. Pack layers and make sure you have shelter available. There are some excellent winter tours available, and if you like hiking, winter is a fantastic time to go. As you probably already know, there are SO many great things to do in the Grand Canyon. Let’s go through them. 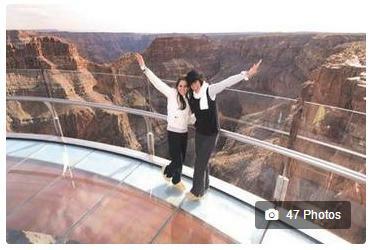 What Grand Canyon guide would be complete without delving into the wonders of the Skywalk. The incredible Skywalk hovers 4,000 feet above the floor and hangs 70 feet off the rim. It’s built with a glass floor, for the most fantastic views. The Skywalk is definitely one of the more popular places to visit because, there’s no better way to really be as immersed in the Grand Canyons awesomeness. The construction of the Skywalk was an amazing feat of technology. Though it may sound frightening to some, it’s as solid as can be. This video highlights the construction and pans through some awe inspiring views that photographs just cannot capture. 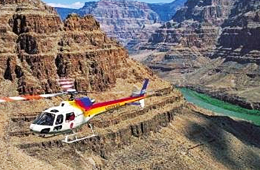 Skip the Line: Grand Canyon Skywalk Express Helicopter Tour. Situated just west of the national park is the absolutely stunning and sensational Skywalk. This is a glass structure that extends over the rim of the canyon – immediately over the Hualapai Indian Reservation. This is located about 250 miles away from the South Rim of the national park. Here, you will get to observe the canyon in all of its beauty. You will be absolutely thrilled by the appeal of the structure and the area! Check out our Skywalk Tours Page for more popular tours. 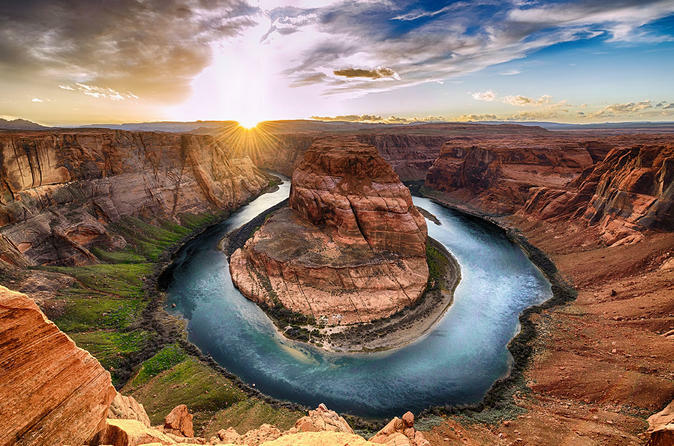 The majestic Colorado River stretches 1200 miles long, starting in the Colorado rockies, through the Grand Canyon to Lake Mead. The geology is immense, spanning millions of years. The history of the use of this river is equally exciting. For thousands of years, natives used the river for agriculture. To this day, 40 million people in the US depend on the river as a source of water. Recreation on the river is probably the most exciting aspect of them all. 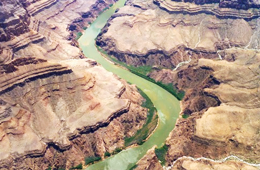 There is a mindblowing number of things to do on the Colorado River. It’s dramatic rapids make it an attractive whitewater river. Running through the bottom of the canyon makes for breathtaking views. Imagine floating, kayaking or paddleboarding, looking up at the humongous rock formations that span thousands of feet. Amazing. 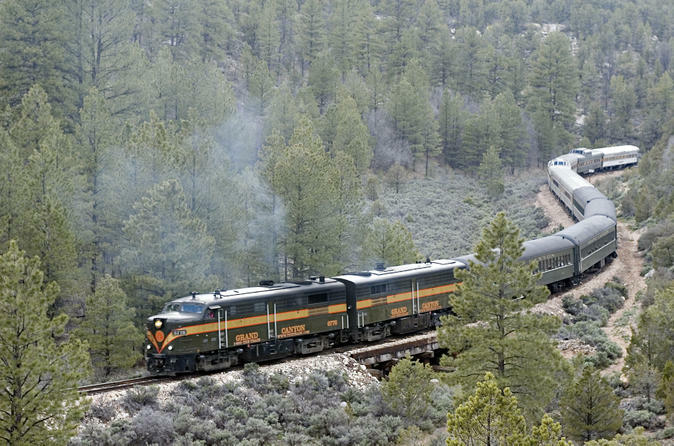 What an incredible way to travel through the Grand Canyon, by passenger train! Once every day, it carries hundreds of passengers, making its way through the canyon, from Williams, Arizona to the South Rim. The historic train has made many journeys since its completion in 1901. Each railway car has been restored and maintained in its original style. Railway tours are fun, interesting and exciting! Railway crew shares engaging commentary about the train, its history and many trips through the years. On the journey back, bandits stage a mock robbery for an old west experience. In the winter, you might catch a ride on the Polar Express when the train heads to the ‘North Pole’. Spend a day or three along the Grand Canyon Railway.